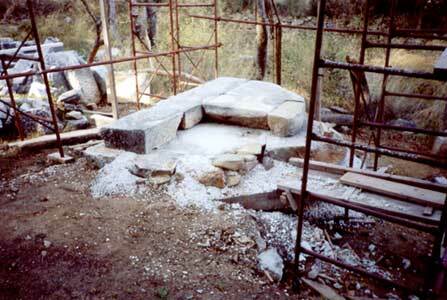 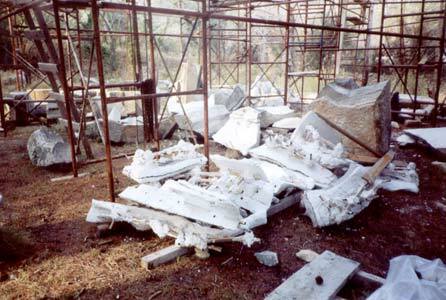 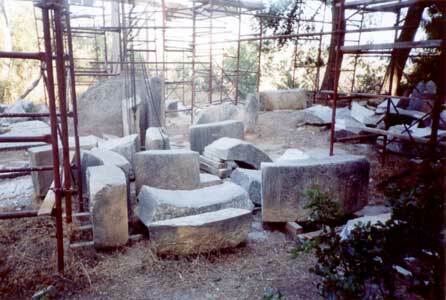 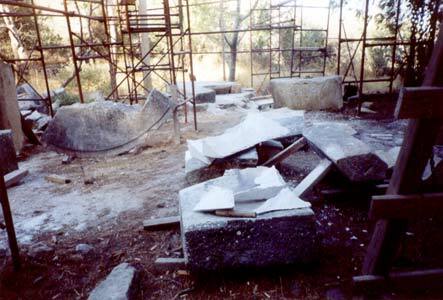 Main view of Choregic Monument of Agnias under reconstruction. 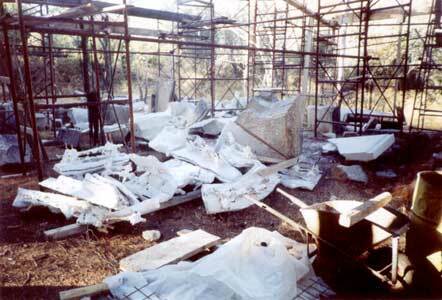 And others... what a huge effort! 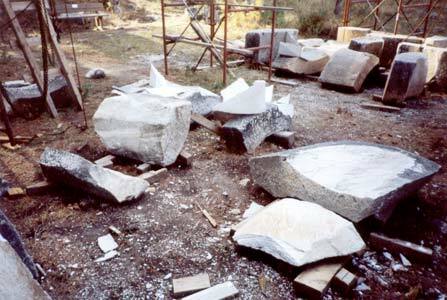 The plaster casts will be used as guides by the craftsmen who will chisel out replacement pieces from new marble blocks that have been delivered on site.